With this summer feeling like it’s never been hotter, I’ve definitely taken advantage of being outside more; the only downside to that is the sun. I need to protect my skin from the harmful rays and not get sun burnt. 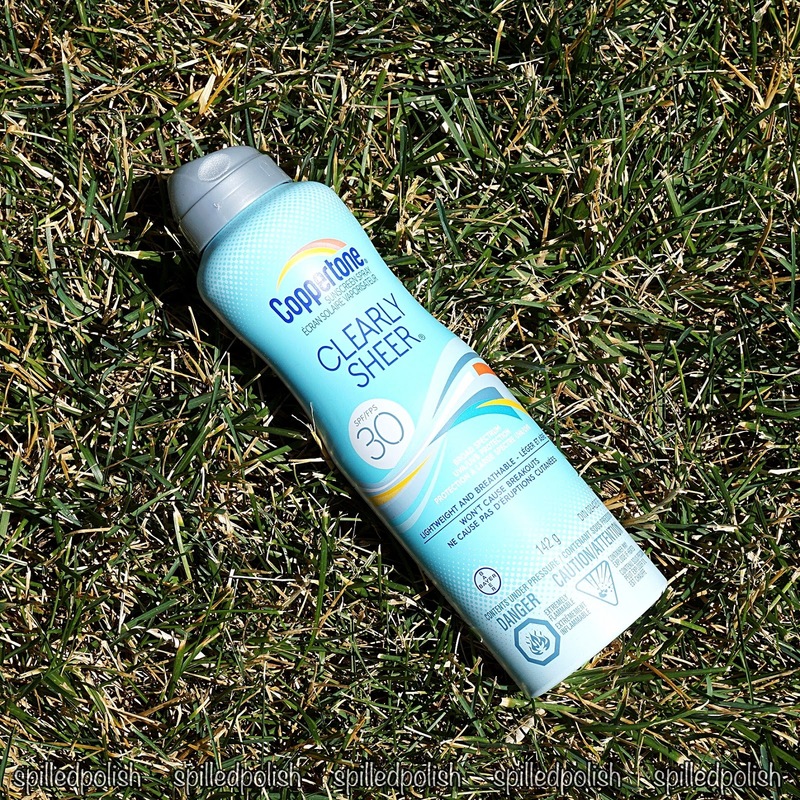 Now, most of the time I don’t listen to my own advice and just go outside without sunscreen, but with Coopertone’s ClearlySheer Spray Sunscreen, I definitely don’t have an excuse not to use it. It’s super easy to use and doesn’t take a long time to absorb into your skin. I sat outside over the weekend and used this on my arms, legs & chest. It sprayed on easily and was almost invisible right away. I didn’t have to stand there rubbing it in and waiting for my skin to feel dry before moving on. 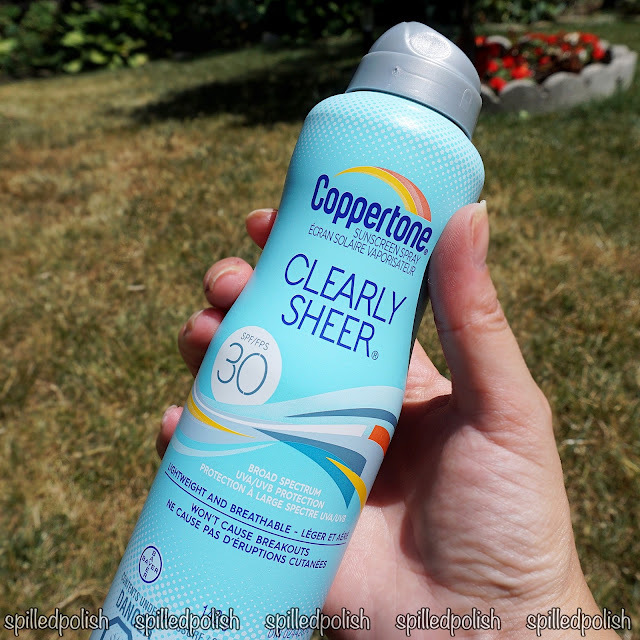 Coppertone’s ClearlySheerSpray Sunscreen won’t clog pores and leaves skin feeling smooth & soft. I wish I could say that I went swimming , but I just layed out in the sun.. haha. However, if I did go swimming, this sunscreen would still protect me as it's water resistant for 80 minutes! 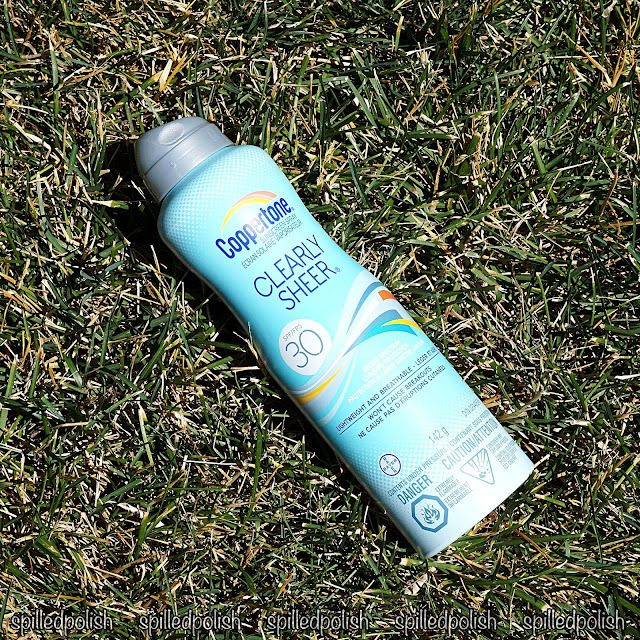 It also has an SPF 30 with broad spectrum UVA/UVB protection.